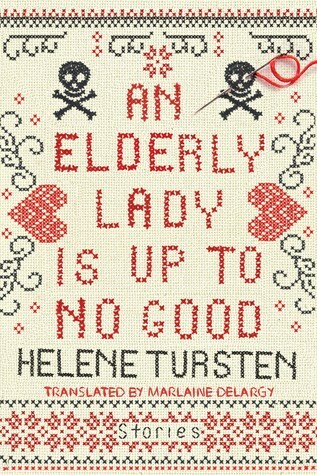 Note:This may be a niche target audience, either as a fan of Helen Tursten or dark comedic murderous elderly ladies, but its a niche target audience I’m part of. Review –Before anyone says anything, I understand that murder is wrong and one shouldn’t find it adorable or cute just because its an elderly lady doing as much, but it WAS adorable and I DID find her actions cute. Ifs fiction and the folk that she was a-murdering basically had to it coming in that cut and dry way that fictional bad guys often do. Look there’s a lot of conniving people in this world and she just wants to be left alone. This all being said the fact she’s anywhere from 86-88 in the stories (sometimes a little younger, but never younger then 80) certainly helps to sell her “who me? a feeble old woman who can barely hear or see or think?” act really well. The stories are short, quickly paced and you can largely skim parts of them because they rehash information from each other in regards to her circumstances. They’re also in the book in a slightly confusing order; the first story takes place after the second story which takes place after the third and the last story takes place somewhat simultaneously with the story before it. Maud is life goals though – she lives her own way, with no real care about anyone else’s regard or opinions and has settled into a comfortable life that suits her. A little murder here or there and what are they really going to do? Haul an 88 year old lady off to jail on no real evidence beyond the fact she was coincidentally always near the target she had no prior relationship with?